Scotland matched the All Blacks blow for blow in Edinburgh and Stuart Hogg was one tackle away from making history as the brave Scots finally succumbed 22-17. So who made the difference in this epic battle? 15 Stuart Hogg 8.5 – A danger all match with his cutbacks and solid defense. Exemplified the Scottish ambition and intent. Game leading 131 metres run, 16 carries, 2 clean breaks and five defenders beaten. Deserved to score in the final minute but was thwarted by Barrett’s brilliance in defense. 14 Tommy Seymour 7 – Classy player with some excellent touches during the game apart from one dead ball blunder. Close to breaking the game open but desperate defense held solid. 13 Huw Jones 8 – Great battle with Crotty in midfield and probably just came out on top. Scored yet another try and is building a world class reputation. 12 Alex Dunbar 6 – A difficult time containing SBW but was solid in link play in midfield, without the impact of his partner in midfield. Subbed at 47′ with an injury. 11 Lee Jones 6.5 – One good bust but not as involved as some of his counterparts. 10 Finn Russell 7.5 – Brilliant interception to stop certain try in first half. Played with confidence and control. Kicking generally very sound. 9 Alistair Price 6.5 – Fast, accurate delivery but not much running threat. 8 Cornell Du Preez 6 – Not a huge impact but looked after the All Black Captain well. 7 Hamish Watson 6 – Substituted after 27 minutes of tight rugby. Luke Hamilton showed solid support play as his replacement. 6 John Barclay 6.5 – Lots of involvement in the tight but less impact going forward. 5 Jonny Gray 7.5 – Big game by the towering lock scoring a determined try and secure in the lineouts and tackling. 4 Ben Toolis 6 – Supporting role in the tight and overshadowed by his partner. 3 Zander Fagerson 5 – Had a tough assignment against Kane Hames and penalised a couple of times. 2 Stuart McInally 7 – Solid lineout throws and was missed when he was subbed as Scotland gave up some very promising positions due to collapsed scrums. Game high 20 tackles with a couple of misses. Seems to be really growing into test rugby. 1 Darryl Marfo 6.5 – Stood up fairly well against Laulala and good mobility and stamina. 15 Damian McKenzie 7.5 – A growing sense of maturity about the young fly in a jar’s game. A very quiet first half but sprang to life in the second using his pace to latch onto a SBW grubber and excellent link play to set up Barrett for a his try. Also a brilliant tackle to thwart Scotland break out late in the second half. 14 Waisake Naholo 5 – Where was he? Three runs for 18 metres, two tackles and lucky to escape a yellow card for his tackle on Hogg. Must do more if he is to retain his place in the future. 13 Ryan Crotty 7 – Super solid all game particularly on defense with a game high 16 tackles. Looked pacy and dangerous on attack and a credit to the Scottish defense to contain him. Was this the game to finally silence his critics? Delicate and delicious grubber to set up McKenzie and a trademark brilliant offload to spark Barrett’s sumptuous try. All that and eleven tackles. Player of the Match. 11 Rieko Ioane 7.5 – Another who showed he is becoming a more and more comfortable player and playmaker in the test arena. Looked dangerous every time he touched the ball, beating 8 defenders,making 3 offloads and excellent cut out pass to give Taylor space to score the All Black’s first try. Rock solid on defense. Scary potential being realised. 10 Beauden Barrett 8 – Is he making a late run to retain his IRB Player of the Year? Solid without being spectacular in the first half but stepped into the Barrett zone in the second with a scintillating try and match-winning cover tackle on Hogg to deny the Scots the chance to win. 9 Aaron Smith 7 – Some solid game management and defensive kicking in a tense first half and his usual pacy delivery. Still feel he is overplaying the box kick and undercutting his questionable haircut. 8 Kieran Read 7 – Some huge tackles and work in the tight. Not as many of his trademark runs in evidence. 7 Sam Cane 7 – Big game from Ritchie 2.0. Crucial turnovers won and seems to have more power in his drives this season. Caught with a yellow card second half but has put distance between himself and his rivals this season. 6 Vaea Fifita 8 – A breakthrough game for the big Hurricane. Showed the all-round game Steve Hansen demanded, with 51 hard run metres, 15 tackles and huge involvement throughout the game. 5 Sam Whitelock 7.5 – The most capped lock in All Black history showed why he is invaluable with a crucial turnover on the All Black line. Strong under restarts, tackles and in lineouts. 4 Luke Romano 6 – Lost a ball in a maul once and didn’t do enough to suggest Brodie Retallick should be worried watching on from home. 3 Nepo Laulala 7.5 – Has been a real find this season with his no-fuss, refitting into Owen Frank’s no.3 shirt. 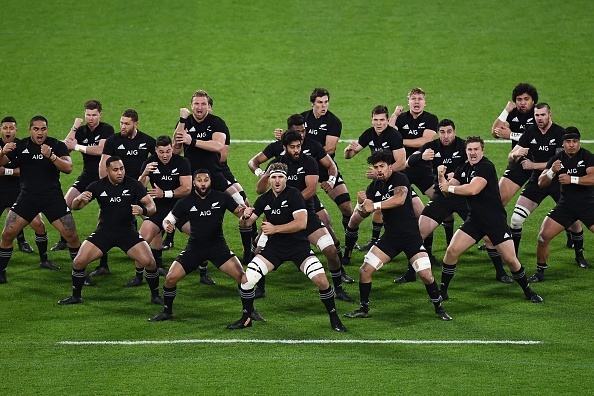 Part of an All Black scrum which generally overpowered their counterparts. 2 Codie Taylor 8.5 – Excellent game from the Crusader who has stepped out of Dane Coles’ shadow this year. Good gas to score the All Blacks’ first try, 53 metres gained and consistent line out throws. 1 Kane Hames 7.5 – Has really answered his doubters in the media who questioned his power in scrums. Gave his opposite a torrid time.